Today, the Korean Esports Association announced that the StarCraft ProLeague was ending. The league began in 2003, but this year, its last, brings a fourteen-year run to a close. Today, we are announcing the discontinuation of StarCraft ProLeague. StarCraft ProLeague started out in 2003 as the world’s first team-based eSports league and 2016 marked its 14th year, making it the world’s longest-running eSports league. ProLeague paved the way for many top-tier StarCraft players and served as the bedrock behind Korean pro players becoming the world’s greatest. The league was loved not only by Korean StarCraft fans, but had fans that followed it from all over the world. ProLeague won the hearts and support of fans through its exhilarating competition and immersive stories. However, behind the excitement, it also had its share of hurdles that we as its organizers had to overcome. We had faced challenges that hindered ProLeague’s operations including the acute drop in global eSports sponsorships in 2008 caused by the global financial crisis, the first case of eSports match-fixing, and declining number of teams. Despite those challenges, KeSPA made countless efforts to maintain ProLeague. Such efforts include the commissioned management of the eight professional teams to meet the minimum team requirement for ProLeague operations, participation in the EG-TL foreign alliance team, supporting ProLeague participation for teams not owned by companies, selling overseas broadcast rights, and strengthening partnerships with overseas eSports competitions. As for me, after being appointed as the chairman in 2013, I did my best with the association and its partner companies to improve ProLeague and market conditions. We looked far and near for all possibilities including creating better broadcast conditions and increasing sales of broadcast rights, securing the JinAir Green Wings sponsorship, cooperating with foreign league organizers, and hosting the KeSPA Cup. Thanks to the support of everyone involved, ProLeague was able to continue on through 2016. However, the drop in the number of ProLeague teams and players, difficulty securing league sponsors, and match fixing issues have made it challenging to maintain ProLeague. As such, KeSPA has come to announce the discontinuation of ProLeague and its operations of the five out of total seven StarCraft professional teams that participated in ProLeague 2016. The decision to put the past 14 years behind us and discontinue ProLeague was a difficult one and it deeply saddens me to have to also bring you the news that KeSPA will be stopping its operations of ProLeague teams. 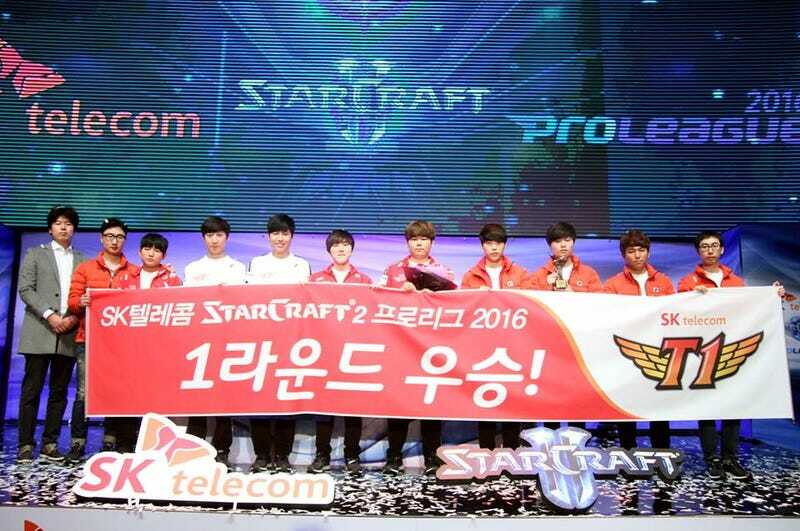 Although ProLeague has ended, StarCraft will continue to be a globally competitive eSport. StarCraft is one of the world’s best RTS games and is an immersive and exciting eSport to watch as well as play. With its partners, KeSPA will look for ways to support pro-gamers who will be competing in the WCS Global Finals this November as well as continue to seek competition opportunities for local pro-gamers through measures such as expanding the StarCraft KeSPA Cup. Team Liquid is also reporting that five StarCraft II teams have disbanded: SK Telecom, Samsung, KT, CJ, and MVP. 2016 truly is a terrible year.